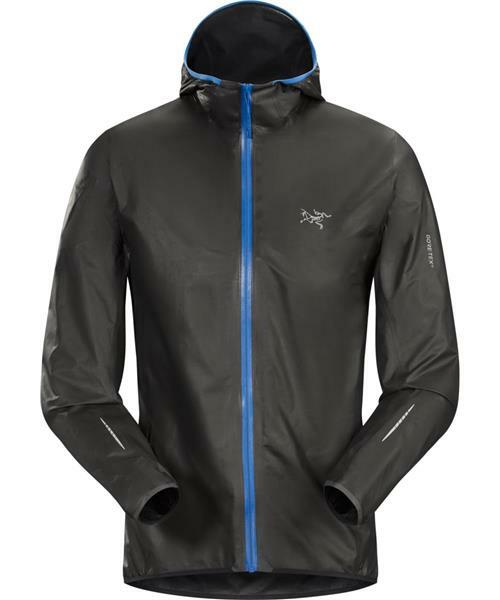 Ultra minimalist Norvan SL Hoody is the lightest, most breathable GORE-TEX® jacket available. New GORE-TEX® with Permanent Beading Surface is a revolutionary fabric technology where there is no external face textile, and the laminate itself acts as the weather barrier. Constructing a fabric without a face textile significantly reduces garment weight while increasing breathability and eliminates the clammy discomfort of a wetted out face fabric. This extremely breathable construction reduces sweat accumulation and speeds vapour transport enabling the runner to maintain performance through a wide range of temperatures and exertion levels. Unsurpassed in breathability, compact and comfortable next to skin. Excellent for trail and mountain running.